I’ve been mulling over the question of “reconstructionist vs. revivalist vs. ?? ?” for a good while. 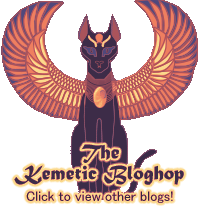 Recently Helmsman of Inepu at Kemetic Reconnaissance posted a really thoughtful post about this long suffering debate – to get a sense of what I’m struggling with, check it out. This is something of a confession for me: for some time, I have been wandering from my original, academic approach to the gods. More and more, I find myself separated from practices that require research. I’m not in a place to devote time to research. I’m in graduate school for something completely unrelated to my faith, and that takes up a huge amount of my reading and writing time. Building a relationship with the gods, in a way that is not bound by the framework of another path such as Wicca, has always been my goal, which is what led me to investigate what is often called “reconstructionist” worship. Indeed, there have been points in my life where I became deeply devoted to reading sources, hunting down PDFs of journal articles through my undergraduate access to JSTOR and spending hours highlighting and outlining what I needed for my research – almost to the exclusion of the gods I wanted to know. Now the circumstances have changed, because my life has changed and with it, my perspective. Now I find myself seeing the gods as the Divine – unfathomable, more complex than I could hope to grasp — and infinitely interconnected. I want to connect with God, with the Divine, with the Universe. I believe that, for me, the best way to do so is through Wepwawet, through Sekhmet-Mut, through the gods of Kemet in the ways that They desire. Are They individual spirits with individual whims? Yes. Are they completely removed from all the other deities and spirits in the world? Not for me. I want to know the ecstatic experience of devotion to the gods; I want to touch the hem of Their presence and know Their love. I am moving away from worship through texts and through knowing. I have done too much reading, and not enough Doing. Does this limit the Kemetic circles in which I can walk? I don’t know. With this admission, however, I feel some liberation. 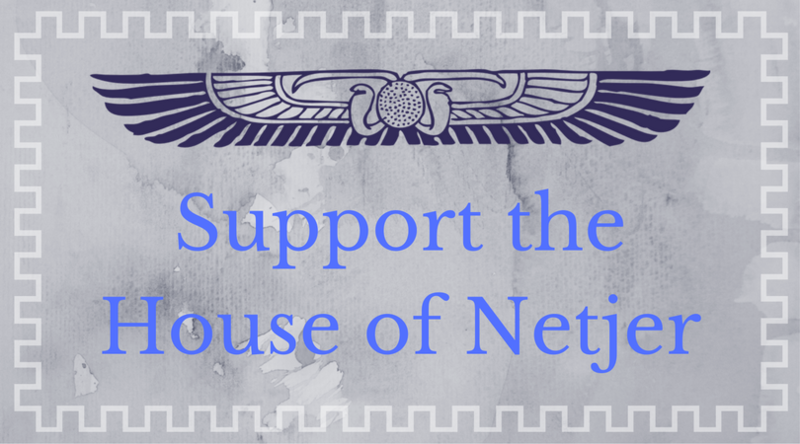 There are dozens of followers of the gods of Kemet who can archive, research, excavate and assemble the best of antiquity. That’s not me right now, and I’m alright with that, because my gods are alright with that. That’s what it all comes down to, isn’t it? Next Post Kemetic Roundtable: Ritual Purity.